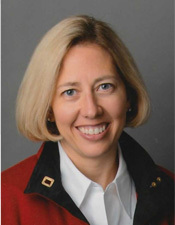 Dr. Sara Oliver attended the University of Missouri at Kansas City where she received a combined degree of B.A./D.D.S. (Bachelor of Arts in Biology and Doctor of Dental Surgery). She then attended UMKC's post-doctoral residency program for an additional two years and obtained a Certificate in Orthodontics and Dentofacial Orthopedics. Dr. Oliver is committed to staying current with the latest technology and continuing education. She recently completed a 10-year long process and earned the distinction of being Board-Certified by the American Board of Orthodontics. Dr. Oliver's professional memberships include the American Dental Association, the Kansas Dental Association, The Fifth District Dental society, the American Association of Orthodontics and the American Board of Orthodontics.